For all lovers of horses and history, it's the next book in the popular Horse Diaries series. Born in the Arabian Desert in the ninth century, Yatimah is a black Arabian filly whose name means "orphan." She enjoys her life at the oasis, with sheep to tease, other foals to race, and the daughter of her Bedouin owner to take care of her. But when the colt who is her foster brother is stolen in a raid, Yatimah realizes her true birthright. 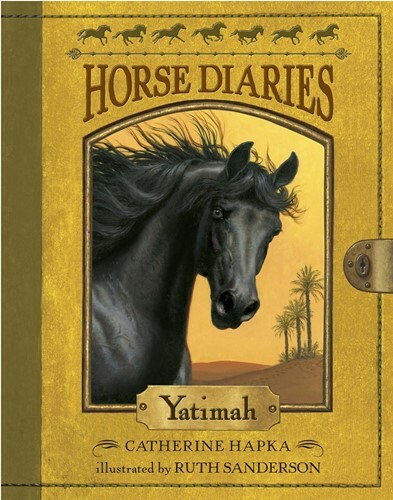 Like Black Beauty, this moving novel is told in first person from the horse's own point of view and includes an appendix full of photos and facts about Arabian horses and Bedouin culture. From the Trade Paperback edition.